An expert group from the Ministry of Education visited Heibei North University to conduct research on medical education for international students. From March 26 to March 27, a team of 5 experts from the Ministry of Education visited our school to study the work of medical education for international students coming to China. On the morning of March 26, a report meeting on education for foreign students was held. Principal Song Hongru and Vice President Niu Chunyu attended the meeting. The heads of the First Clinical Medical College, Basic Medical College, School of Laboratory, School of Science, and International Education College attended the briefing. Principal Song Hongru expressed warm welcome on behalf of the school and introduced the history, basic situation and development philosophy of the school to the experts. He thanked the expert group for the investigation and guidance work of our school and the management of the education and teaching of international students in our school. Give valuable advice and suggestions. Wang Haiping, Dean of the Institute of International Education, briefed the expert group on the history of medical education in our school, the conditions for running a school, the medical education and management of foreign students in China, the construction of teachers for overseas students, and the results of their work. On the whole day of March 26, experts conducted group lectures. After that, he held discussions with foreign student representatives and teacher representatives on the teaching work of international students at our school. Detailed information on international students’ enrollment, teaching, and management was read. They also studied with foreign student education supervisors and members of the International Education Institute. The history, status quo, and future working ideas of education have been thoroughly exchanged. In addition, the research team also inspected the educational infrastructure of international students at our school, including the International Exchange Building, Life Science Center, Basic Medical College, Medical Inspection College, and library. On the morning of March 27, the expert team visited the First Affiliated Hospital (Clinical Medical School) of our school. After listening to the work report made by the Dean Zhang Zhihua, they conducted inspections on teaching facilities such as internships, clinical teaching, clinical teaching and clinical skill centers, and held seminars for clinical teachers and interns. Prior to this, on the same day that the expert group arrived in Zhangjiakou, it also conducted inspections on the living facilities of student cafeterias, dormitories, and classrooms of the First Clinical Medical College. 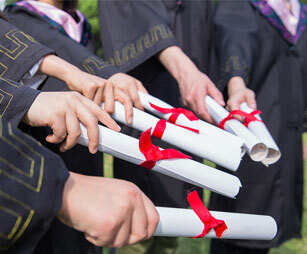 The experts of the research team affirmed the work done by our school in the education and teaching of international students, and at the same time, combined with their own experience, they put forward many valuable opinions and suggestions for the education and teaching of overseas students at our school.